Fun and addictive - an active game that the children want to play over and over again! How often does one letter of the alphabet start an argument?! 2012 saw the families of two sisters, Suzanne and Louise, holidaying in the Lake District. Playing with the locals, their children found that what they were calling Tag was known there as Tig! The fun never stops with Tig-Tag! Don't take our word for how much fun it is, read the testimonials. Our family played Tig-Tag on holiday in Cornwall. Fantastic toy, I have two boys aged 13 ,9 and a 11 year old girl, and it was a game that we could all play together as it is suited for all ages. Really easy to throw and no fear of it hurting anyone or damaging anything. Definitely a toy to keep in the caravan for nice days away. It’s really light and easy to store away too. 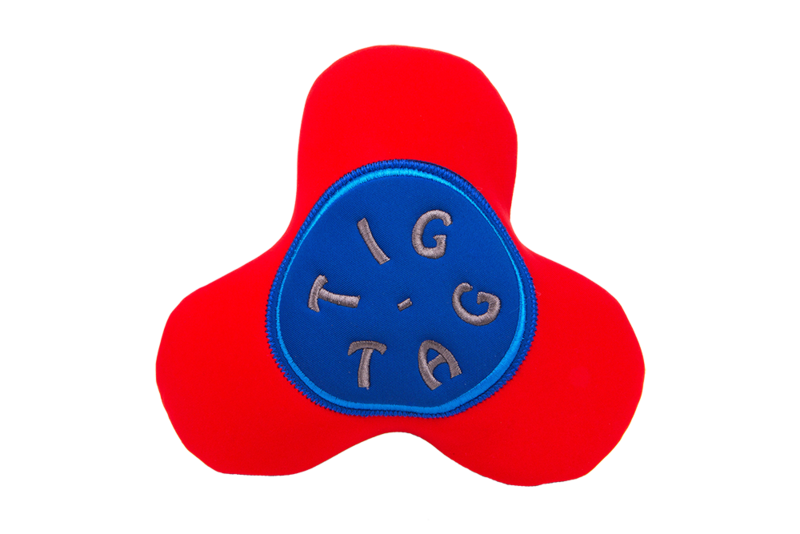 The Tig-Tag really works superbly for smaller groups of children and they are able to play quite independently with it. The feedback has been very positive and the children have been asking if they can use it again. Five years to become an Overnight success!